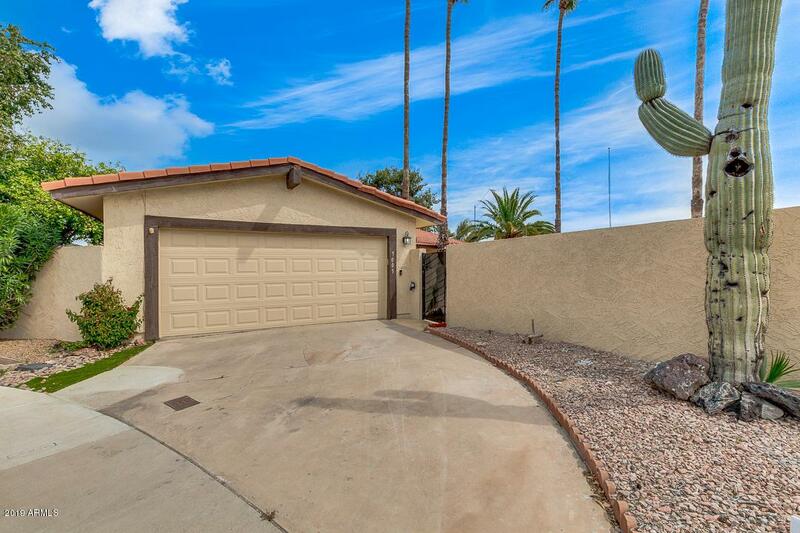 Fully fenced 3 bed/2 bath residence in Scottsdale! 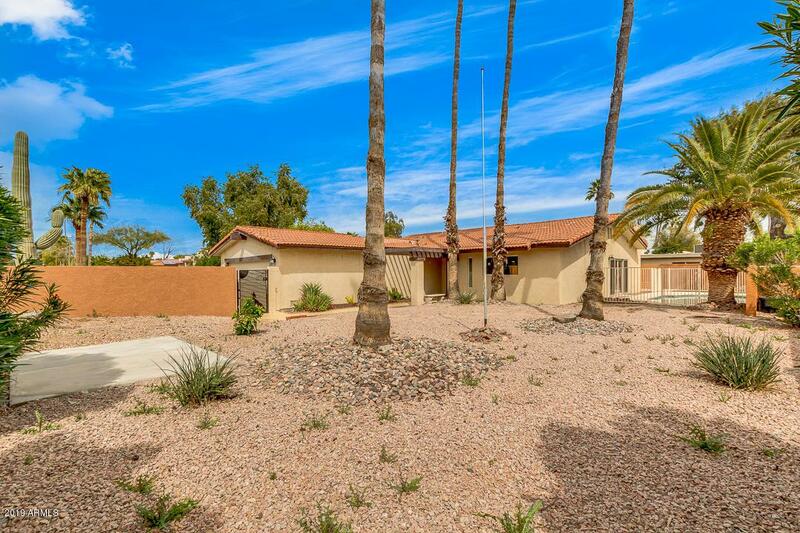 This charming home sits on an oversized lot in a cul-de-sac & features 2 car garage and desert landscaping throughout. 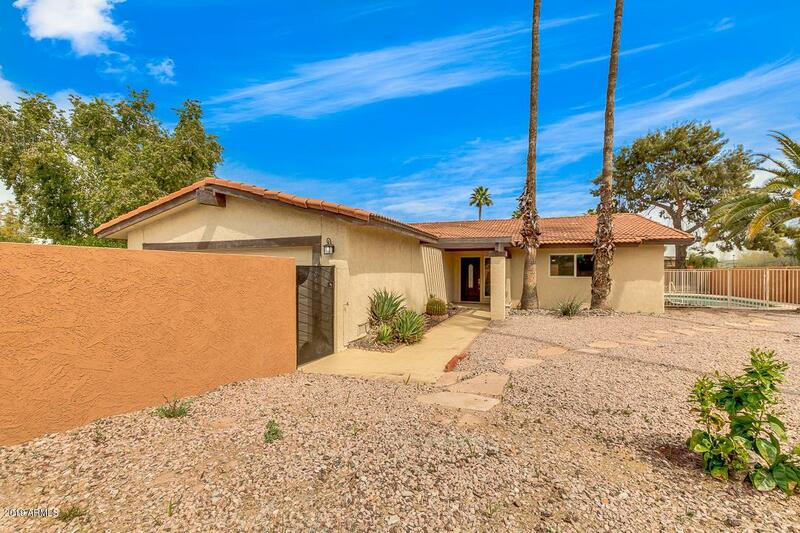 Completely remodeled interior will conquer you the minute you step inside! Amazing open floor plan promotes a greater traffic flow and large sliding glass doors bring outdoors in. Formal living & dining areas, tile flooring, fireplace, and recessed lighting are some of the attributes that can't be left unsaid. Fabulous kitchen showcases stainless steel appliances, shaker cabinets, tile back-splash, solid surface countertops, and large island with breakfast bar. Spacious master suite has backyard exit, lavish bath with dual vanity and walk-in closet. 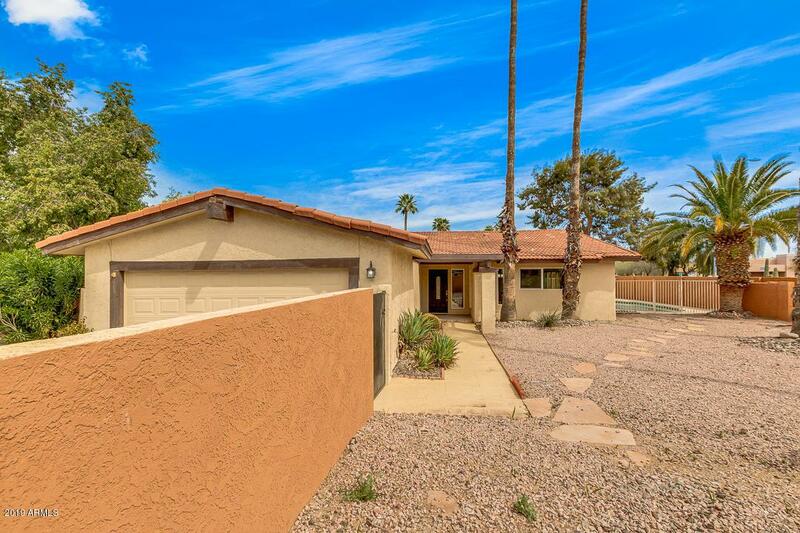 Huge backyard offers covered patio and refreshing blue pool. Must see!